Isn’t that a beautiful name? From this frontal view, you can see the costal vein, the leading edge of each wing. This is a new dragonfly for me, the 19th species I have been able to identify here. I am always amazed at the tiny differences that denote different species, and the fact that someone noticed those differences! 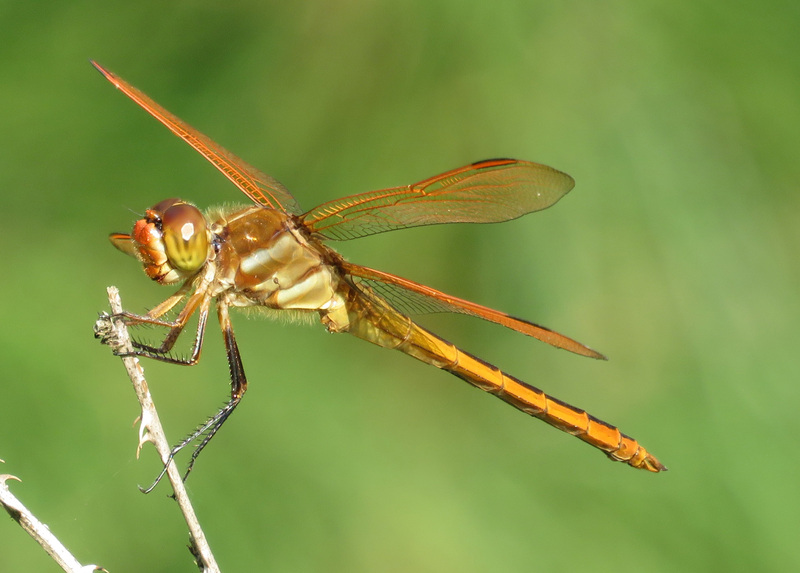 There is a very similar species to this, named Needham’s Skimmer, but that one has brown back legs and the leading edge of the wing (which is called the costal vein) has a color break in the middle. This one had black back legs and the costal vein was one shade of brilliant orange throughout, which led me to identify it as the Golden-winged Skimmer. There are a few other differences, but those are the two that showed up best in the pictures, so that is as much detail as I am going to go into. If you ever need to figure this out for yourself, there are some very helpful graphics here. Really gorgeous photos and great information. Beautiful photos :-). Congratulations on identifying 19 species so far. I think I photographed 4 species last year. I found it was much easier on hot afternoons, otherwise, they never seemed to land! It is always nice to come across a cooperative species. 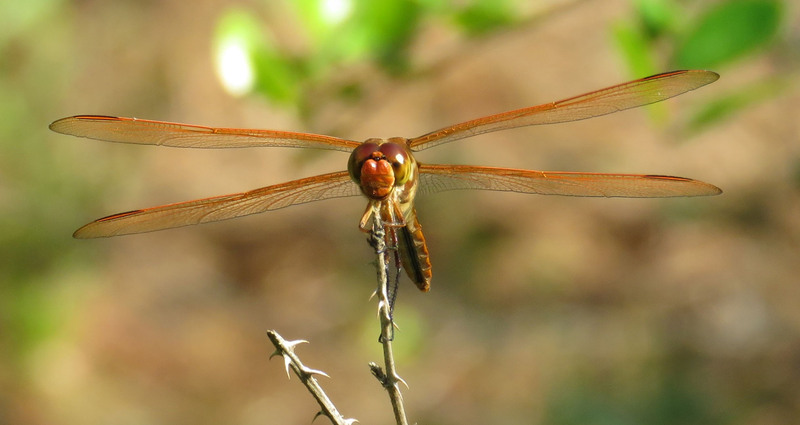 I didn’t know anything about dragonflies really before I moved here, but apparently whether they will perch or just keep zooming around busily varies by species!